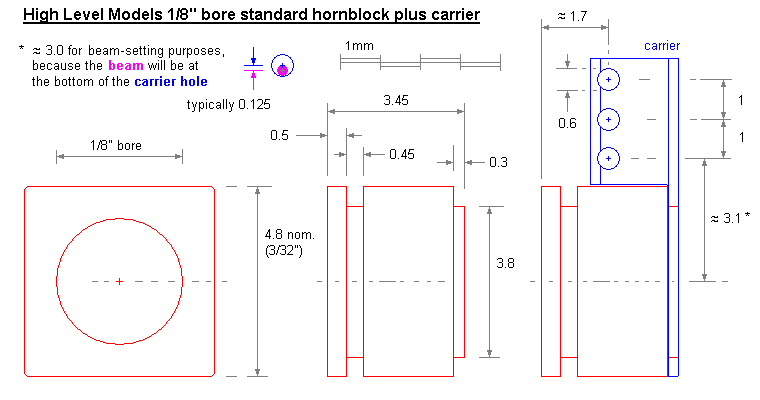 The general interface for the 1/8" bore blocks is such that the pitch between the inside face of the chassis frame and the beam bore of the carrier is between 1.0 and 1.25mm. 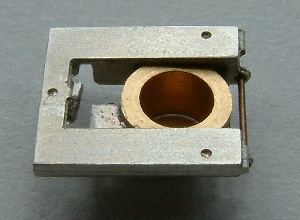 These photos show a preproduction version of an 1/8" axle hornblock etch, 0.4mm material thickness, using a standard tophat bearing. 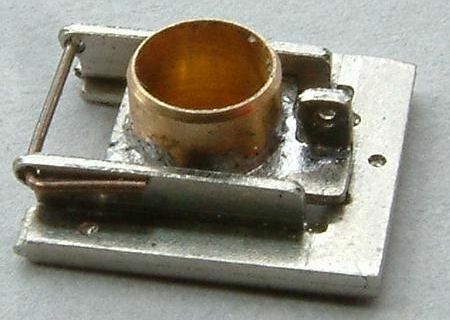 The production versions are in 0.3mm thickness etch. 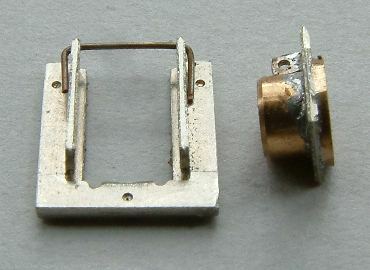 The production version of this product is supplied with hornblocks of the same style as an MJT block, with a square (4.8mm) body. There are dimensional differences between an MJT block and the HL block. 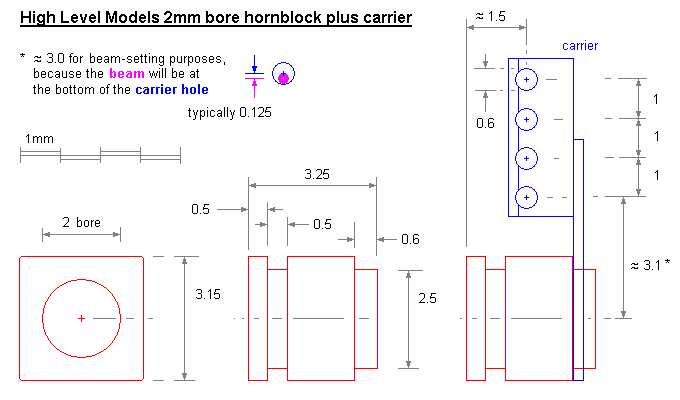 The High Level carrier attaches over the rear (round-section) part of the hornblock. 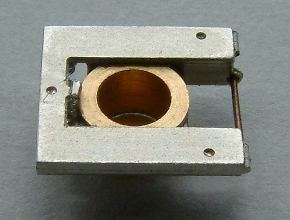 The bearing carrier is intended for a beam spring. The bearing carrier can be used either way up, for overslung or underslung applications. 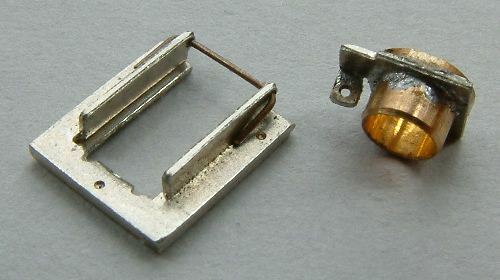 The 3.8mm dimension ensures compatibility between High Level and London Road Models blocks and carrier units. 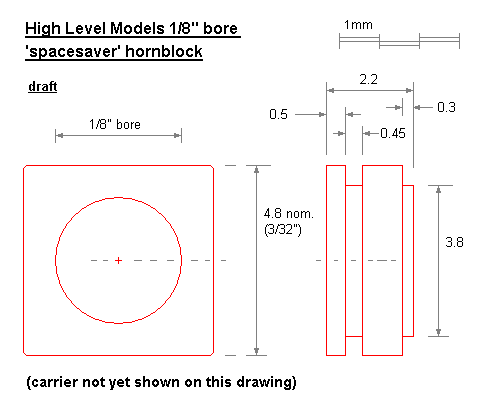 Also shown here are the drawings for the 'Spacesaver' version, which is thinner than the standard version, and 2mm bore hornblock. High Level Models instructions for its hornblock and tags (pdf).